Express and Star: Duke of York gives royal approval for apprentices | Steel Processing (Midlands) Ltd. The ladder for Staffordshire scheme promoted by our apprenticeship providers performance through people marked its recent milestone for creating over 1,000 apprenticeships in the local area. Our apprentice Nathan Hitchcock and Commercial director Nick Liggins attended the event to represent SPM at St James’s Palace to mark the milestone. 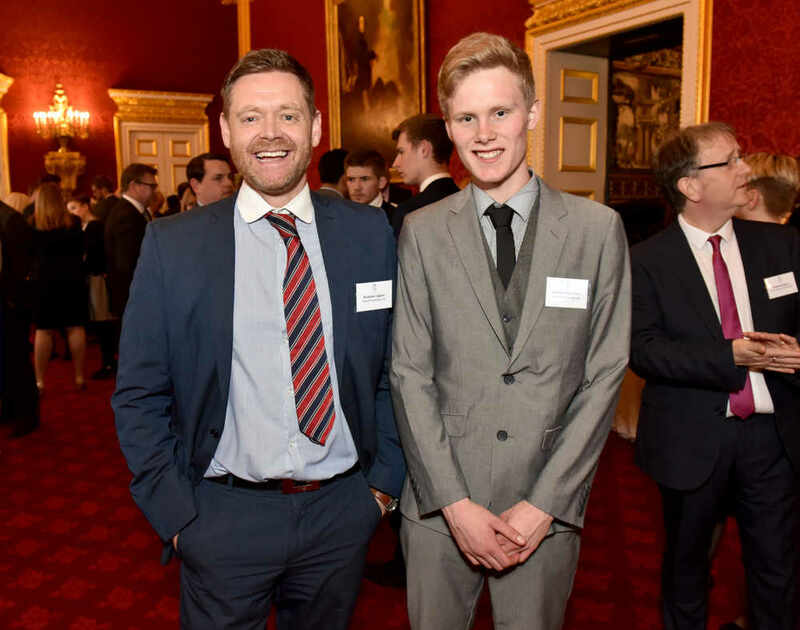 “I enjoyed the experience of meeting the Duke of York and my time spent in London at the palace, during my apprenticeship I’ve met lots of new people and had many new experiences and opportunities, I’ve really enjoyed my time spent at SPM so far” – Nathan Hitchcock, Warehouse and Logistics Apprentice.